In this section you can find out information relating to the Town Council’s committee structure and meeting schedule. 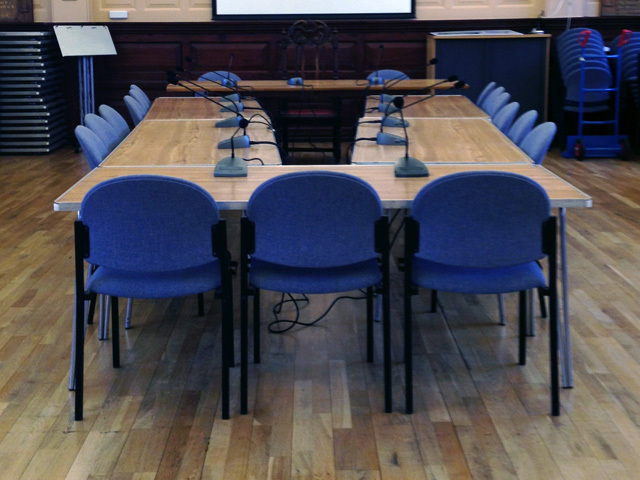 Council and committee meetings are held in the Town Hall Upper Chamber at 6.30pm unless otherwise stated. Members of the public are welcome at all meetings except on the rare occasion where sensitive matters such as staffing may be discussed. A public participation period is set aside at the start of each meeting in which the public may ask questions or make comments regarding any matter. In order to speak at a Council meeting, members of the public must apply in writing to the Town Clerk by 5pm on the day preceding the meeting. Further information about having your say at council meetings can be found at the bottom of the page. In this section you can view agendas, minutes and reports relating to recent and upcoming committee meetings. Committee meetings are held in the Upper Chamber at Thame Town Hall. 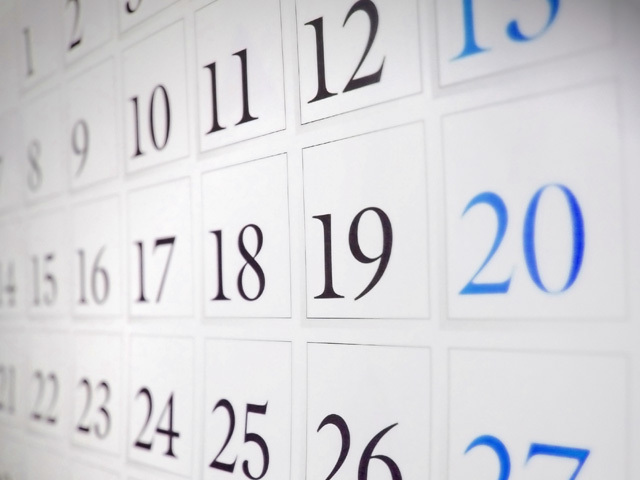 Click the link below to view the schedule of meetings for the year. 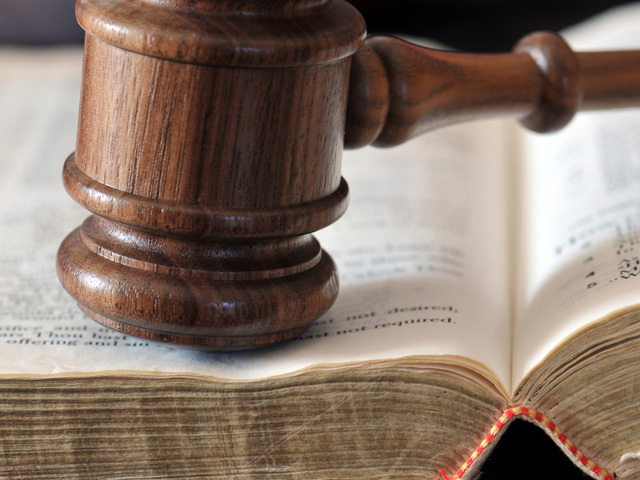 Our Standing Orders include the rules of procedure laid down in legislation and additional regulations chosen by the Town Council to ensure the council runs smoothly. 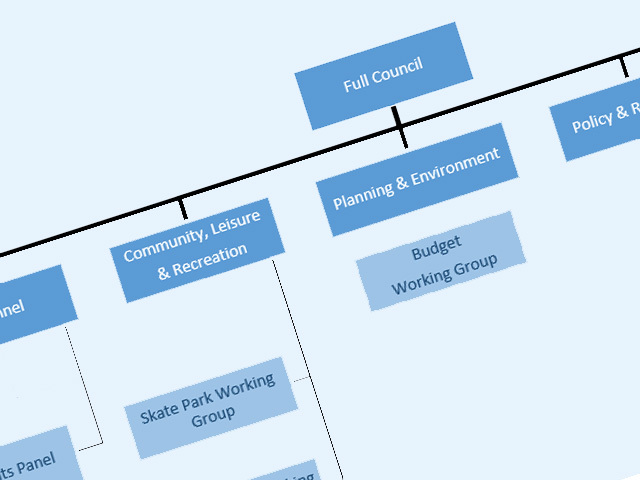 Click the link to view a diagram of the various committees and working groups within Thame Town Council. 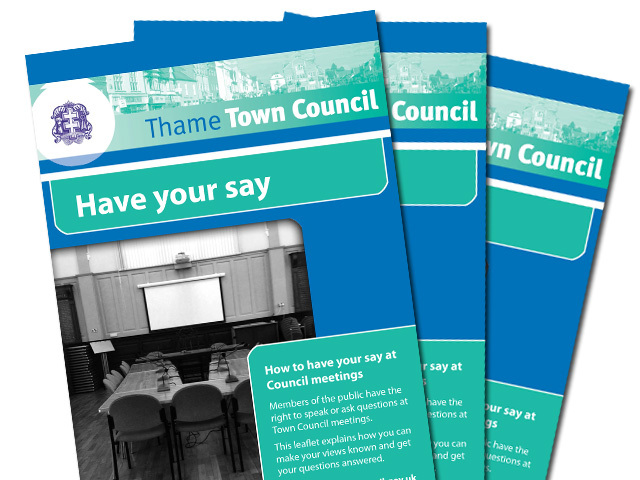 Members of the public have the right to speak or ask questions at Town Council meetings. This leaflet explains how you can make your views known and get your questions answered.